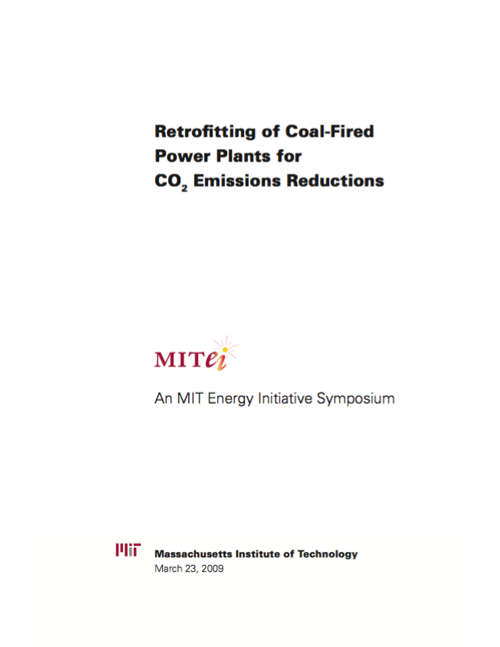 On March 23, 2009, the MIT Energy Initiative sponsored a symposium on the retrofitting of coal-fired power plants to capture CO2 emissions. This report summarizes the views of symposium participants and identifies many key issues, opportunities, and possible next steps associated with retrofitting coal-fired power plants for carbon capture. The report represents a range of views from those at the symposium and where possible, includes consensus or general recommendations from the presenters and participants; it is in no way intended to represent the views of all the participants, of specific participants, or of the rapporteur. Participants represented the range of stakeholders with expertise, equities, and interests in the topic and included 54 representatives of utilities, academia, government, public interest groups, and industry. This invitation-only event was designed specifically to elicit different perspectives and identify areas in which research, policy development, and analysis are needed to address this critical environmental concern. The report includes four papers, three commissioned for the symposium, to start discussion of current and long-range technologies and research management objectives and strategies.